Tennessee, Maryland, Auburn and Kansas as schools that, as of Late August, were reaching out almost daily. He also noted that last year he took visits to UNC, Kentucky, Georgetown, Maryland, Tennessee and Auburn — and that he expects to make plans for a KU visit soon. Jaemyn Brakefield, a power forward from Huntington Prep #20 ranked player. Townsend in deep with him. Not sure if KU will be in the Greg Brown sweepstakes but he is really good. KT Raimey, 6-4 (Olathe East), plays on the same AAU team as Ty Berry. He’s a combo guard, though he plays off the ball quite a bit now. Xavier Bell, 6-4 (Andover Central), another combo guard that, opposite from Raimey, has been playing on the ball more. Markell Hood, 6-6 (Blue Valley Northwest), wing. He’s a strong, physical player. Don’t know if he’s P5 yet, but he could be something like Agbaji, but likely bigger by the time he graduates. Jonathan Jackson, 6-4 (Maranatha), guard. He’s good, but its tough to evaluate him during the HS season because he plays for a small class school (Maranatha is a 2A school). O’mar Stanley, 6-8 (Blue Valley West), PF. The lone elite level big man in Kansas in the 2020 class. It’s a shame that Berry, Bell, Raimey and Jackson all play in different classes and likely won’t face off. @justanotherfan not sure how many of those guys are KU level. Then again if you had asked me about Braun before his JR season I would have said no way. I think Raimey could be a WSU, Tulsa etc… level guy. Xavier Bell I haven’t seen play I don’t think. Is he on an aau team? Jonathan Jackson you would have to think ends up at UNC if they want him. At this point, he almost feels like a walk-on for UNC or KU though. Markell Hood has a nice stroke. What’s the deal with the big kid at Sunrise? Is he Nike bound …? Are you talking about N’Faly Dante? He is a top 10 2020 target. He has offers from KU, Kentucky, Oklahoma State, LSU, Kentucky, Oregon and St. John. He is 6’-11" with a ridiculous 7’-5" wing span and he is very close to Cheik Diallo whom he calls my brother. LSU appears to be in the lead with Kentucky also in the run, He plays for MoKan Elite which in the past has been very hostile to KU but recently KU has signed Agbaji and Braun that play for them. He seems to be SEC bound. I would think that KU will be throwing punches in that fight. A lot depends on our situation though. If we have Big Dave still, I think it will probably be hard to land him or any other OAD type of C prospect. If Will Wade keeps landing guys like he has been, and I’d say he becomes a potential Blue Blood short list candidate. He has to show he can win at LSU still, but he is doing good things. LSU is a sleeper to win SEC this season. They potentially have as good of a starting lineup as anyone. Sleeper for second perhaps. Kentucky is running away with that league. @BShark UK is a 10 loss team again. IMO. SEC is much better this season than last. We will see. I think UK has the best roster in the country. I don’t know what the difference between this season’s UK team is and last seasons? And they finished tied for 4th, and easily could have been 5th if Vandy didn’t piss away a game that was in the bag. If you had asked me about Agbaji before his senior seasons, I would not have put him at KU. I was surprised that Braun picked KU as well. Bell plays for the team Perry Ellis used to play for I believe. They aren’t as strong as some of the KC area teams, so he doesn’t get as much exposure on the circuit. Jackson probably goes to UNC, but he could explode. He’s got some talent and is interesting to me. I agree completely on Stanley. Interesting athlete. You can’t ignore athletes like that. Raimey is interesting in that he is talented, but doesn’t get the right type of exposure in his HS system in my opinion. The challenge is seeing these guys against legit talent, but not when teams are throwing gimmicky things at them that makes them alter their games (and makes it hard to evaluate them). @justanotherfan I agree that KS HS basketball is not a good indicator at all. Which can definitely make evaluation more difficult and why it was nice to see Braun do well in AAU. @BShark Braun could be one of those 4 year treasures we get every once in a while. Really tall…can really shoot, and handles the ball a lot better than most guys his height. Not point guard good, but good enough. Defense is probably a liability at this point, but could fill a BG role on the team well. @KUSTEVE Braun has a really solid all around game whereas Greene was very one dimensional. I’ve now seen this comparison kicked around more than once: Marcus Garrett but a little bit worse in every area except shooting where he is much better. Greene looked much more well rounded against HS competition as far as attacking the basket, rebounding, etc. But that’s against HS competition. He wasn’t nearly as well rounded in college, and even less so once injuries sapped his explosiveness. @justanotherfan Fair enough. Greene’s poor attitude didn’t help him either. I don’t know that I can think of a player in KU history to compare Braun to. Not like I’m calling him a freak or anything. He is just strangely athletic, where he fits somewhere in the middle of most KU recruits. He doesn’t have a crazy vertical. But he still has hops. He shoots it great. His ballhandling is as good as any non PG recruit we’ve ever had here. Significantly better than Garrett’s, imo. His vision is phenomenal. To me, if he grows to 6’8, he is a legit NBA prospect and will end up being the steal of this class. If he stays at 6’5, who knows. He could end up being just a 4-year practice body, a role player like Tyrel Reed, or he could become the next Andy Rautins. But I do like his upside, which is about all you can ask from a guy ranked 100+ and taking up your 13th scholarship, knowing he is unlikely to see the floor a year from now. I can’t think of a comp either. Maybe Conner Teahan with better shooting and athleticism. 2020 looks like it will be a battle for top talent. At this point I don’t think KU has any advantage with anyone. It may be interesting to see if KU can get Jr’s to take visits with that rule change. Julian Strawther and Bryce Thompson. Ty Berry assuming they get around to offering him which I really hope they do. Zach Harvey reclassified for 2020, leaving the option open for 2019, maybe trying to put more distance from his legal issues? KU still appears to be the leader. Forgot about Strawther, definitely a possibility as it stands. @BeddieKU23 Yeah, a lot depends on how many scholarships will be available. 19 is looking like a big class without any oad guards/wings. Dotson, Moore, Garrett, KJ, Agbaji and Braun could all theoretically still be around and that would be a salty really experienced group at that point (JR, RS SR, SR, 6th year SR, JR, SO). That doesn’t even factor in McBride if he ends up in Lawrence. I understand his legal issues had a bearing on his recruitment for 2019; however, people have short memories, with another year gone and if he shots up in the rankings, KU is back in play. Correct. 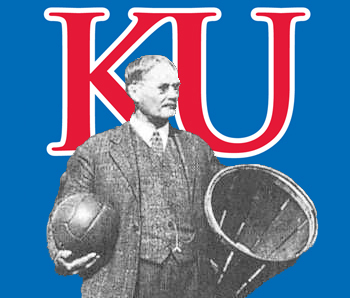 Things change though and another year of development and distancing the legal case could get KU back into the picture. I would take Strawther in a heartbeat over Harvey. Situations aside Strawther is just better. It’s not even a little bit close. He’s a top 10 type talent. Effortless scorer and gets after it on the glass too. The way things are moving, by 2020 the top players might be headed to the NBA and the battle will be for the lower ranked players. Yep. Part of why I wouldn’t hate Mitch taking a RS. He could be much more valuable as a 5th year SR. Put him with JR McCormack, SO JRE and some Lawsons and that’s prettttty okay.